Welcome to Day 13 of my Christmas Giveaway. Today's my 21st Birthday! Wowwww Weeeee! We also have been given a magical prize, it has been kindly donated by Galt toys. 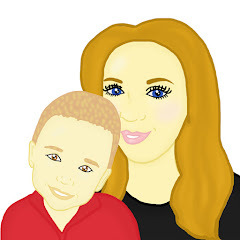 Galt produces and sells quality toys which meet the needs of all stages of child development. Galt products are great fun and to encourage learning through play.They sell puzzles, games, arts and crafts kits which can be fun for all. 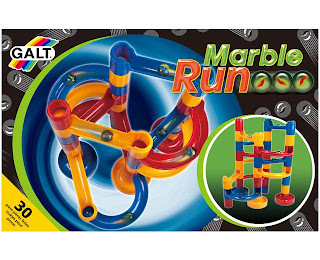 The prize for today is this fantastic Marble Run. It is made up of 24 brightly coloured pieces in 4 different shapes to slot together into a marble run, plus 6 marbles. Children will enjoy devising a variety of routes for the marbles to roll along as they descend to a home base. It is suitable for children aged 4+. To win this special prize please enter using the Rafflecopter Form below and remember its only open for 3 days so be quick. Good Luck all! Another great giveaway! Thank you and Merry Christmas!!! ooooooh i have been looking for a marble game like this that would be suitable for my son, this looks fab! Great prize the kids will love. Happy Birthday!! Have a great day!! Getting my marbles back to post in the right place.... great game! My stepkids would like this, looks fun. great gift for the kids! Reminds me of mousetrap a bit! My kids would have great fun with this! My little boy loves playing with one of these at our toddler group, he would love to have one of his own. I remember playing this at school when someone brought it in on the last day, it was really good fun! i had something similar when i was a kid my little girl will love this! !